A US journalist kidnapped by a militia group in Democratic Republic of Congo was found safe and sound early Sunday, a senior official said, as another source said five people had been killed in clashes. “The American journalist Lisa Dupuy was found safe and sound at around 3 am on Sunday” by government troops, Pacifique Keta, vice governor of Ituri province, told AFP. The troops were deployed after Dupuy and 11 wardens working for the Okapi Wildlife Reserve (RFO) -- a vast conservation park in northeastern DR Congo—were abducted on Friday by the Mai-Mai Simba militia group. “The outcome of the military operation has not yet been established, because the army is still at work,” Keta said. Separately, a senior official with the Congolese Institute for the Conservation of Nature (ICCN), speaking on condition of anonymity, confirmed that the journalist was safe. “However, four of our wardens and a civilian who was working as a tracker were killed in clashes,” the official said. A former Belgian colony, the DR Congo is a vast country rich in minerals and timber but wracked by decades of war and poverty. The east of the country is especially troubled. It has been gripped by more than 20 years of armed conflict among domestic and foreign groups, fuelled by struggle for control of lucrative resources as well as ethnic and property disputes. The Mai-Mai Simba are self-described “self-defence” militia groups drawn from the Nande, Hunde and Kobo communities as well as rivals from the Nyaturu, who represent ethnic Hutus. 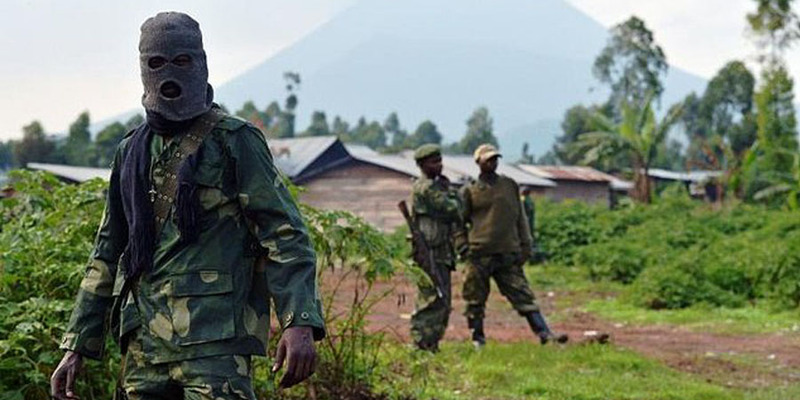 Many of these groups were armed during the DR Congo’s second war—a conflict that ran from 1998-2003 -- to fight incursion by Rwandan or Ugandan combatants, and have never been disarmed. The RFO, a World Heritage site, covers nearly 14,000 square kilometres (5,400 square miles), protecting much of the Ituri forest near the borders with South Sudan and Uganda. The park is notably home to the okapi, an endangered zebra-like species that is a cousin of the giraffe. It is also home to the Mbutu and Efe pygmies, hunter-gatherers who are “among the last true ‘forest people’ on Earth,” according to the Okapi Conservation Project website.